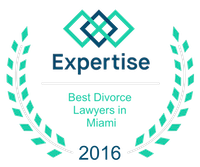 When divorcing (or separating in the case of unwed parents), couples with children often find one of the most complicated issues to overcome is regarding custody and child support. The bickering between parents over custody and visitation has the potential to become explosive, unfortunately putting children in the middle. According to Florida‘s Child Support Benchbook 2012, either parent can petition the court when the child is a minor, pursuant to Lawrence v. Hershey, 890 So. 2d 350 (Fla. 4th DCA 2004). Chapter 61.13 of the 2015 Florida Statutes provides the child support statutes that enable the court to determine issues regarding child support of minor children. In determining an order of support, the court also requires that the parent ordered to pay child support also pay for health insurance for each of the minor children, not to exceed 5 percent of the gross income of the parent paying the support. The fact that parents do not stay together does not necessarily mean the disagreement extends to the matter of distribution of support for the minor children. Florida Statutes allow that “If both parties request and the court finds that it is in the best interest of the child, support payments need not be subject to immediate income deduction.” Instead, the obligor may pay child support into the state depository system, under s. 61.181, or directly to the parent to whom the support is to be made. However, when a parent fails to pay child support, the court can act to secure defaulted payments. When a court makes an initial order for support, that court retains continuing jurisdiction in the matter and may issue an order to determine the address and location of the defaulting parent. The court may require that defaulted payments be withheld from the obligor’s pay, in addition to current payments or take other action that the court deems necessary to secure support and health insurance payments for each of the minor children. 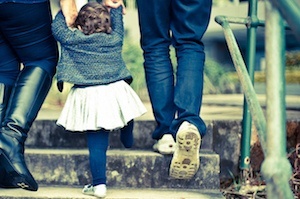 Although some parents decide to represent themselves in the matter of child support, a family law attorney with the expertise and experience in family law proceedings can provide a parent with representation that keeps in mind the best interest of the child, while also providing the legal guidance and representation to the parent-client.